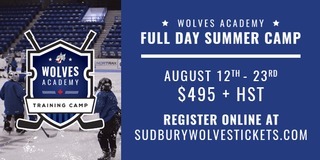 (Sudbury, ON) Wolves Hockey action returns to the Sudbury Arena this Friday and Sunday for a double header match-up with the Peterborough Petes and Mississauga Steelheads in the middle of their six game homestand. Friday, the Wolves face-off against the Petes at 7:05pm and will be looking to even the season series against their Eastern Conference rivals. Limited tickets are available for Friday’s game. Both games will be pivotal in the close Eastern Conference race as two points separate second and sixth in the standings. Sunday, the Wolves will hit the ice once again at 3:05pm to take on the tough Mississauga Steelheads. The Wolves are coming off a 3-2 victory over their Central Division rivals here last Saturday. 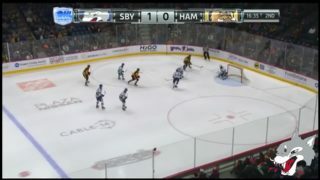 The Peterborough Petes’ roster features seven NHL prospects including their leading scorer and Winnipeg Jets prospect Declan Chisholm who has 26 points in 26 games. The Petes currently sit 6th in the Eastern Conference, just two points behind the 2nd place Wolves. 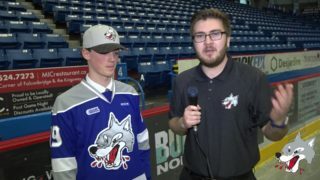 Friday’s game is sponsored by CTV, who together with the Wolves welcome Silver Stick teams to the game. Lucky fans will have the chance to participate in the CTV ball hockey game during the second intermission inspired by Pond Hockey on the Rock later this winter on Ramsey Lake. 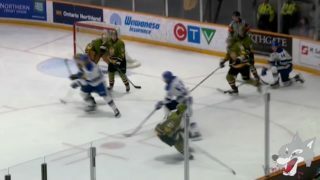 On Sunday, the Mississauga Steelheads visit the Sudbury Arena to battle the Wolves. 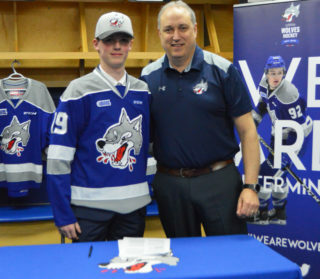 Mississauga’s roster features three NHL prospects including 2017 1st round Panthers draft pick Owen Tippett, Oilers 2018 second round pick Ryan McLeod, and the Kings 2018 sixth round pick, goaltender Jacob Ingham. Sunday’s game is sponsored by GLENCORE who will be on hand to collect non-perishable donations for the Sudbury Food Bank. Two lucky fans who donate will win Sudbury Wolves jerseys. The first 500 fans will also receive Glencore Cheer Sticks. The Wolves wish to welcome the Onaping Tim Hortons Tyke Timbits in the second intermission mini-game. 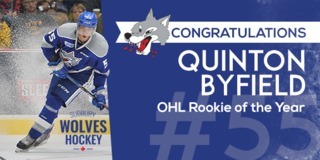 To purchase tickets for either game, visit greatersudbury.ca/tickets or sudburywolves.com and in person at the Sudbury Arena Box Office. New this season, online tickets purchased from your computer or mobile device are now the same price as Box Office. Fans can skip the line, get your tickets early, online, scan your phone or print your tickets and come cheer on your Sudbury Wolves this season!